Command Prompt is a tool used to perform various task with the help of particular commands. 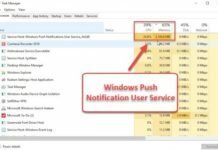 You can almost control your whole computer using command prompt. Although its looks like a stone age tool but still we need it for executing some important commands. So today we have written some of the most useful command prompt tricks that will definitely make your life easier. Navigate to the folder where you want to execute the command. 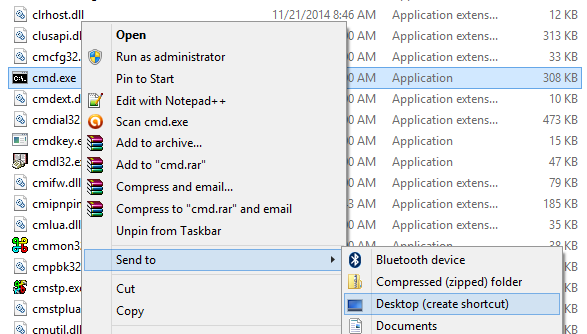 Hold shift key and Right click within the folder, As you can see now we have the option to open command window here. 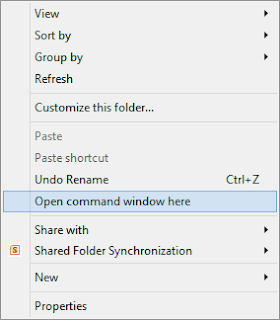 Just click Open command window here to open command prompt directly with your folders path. 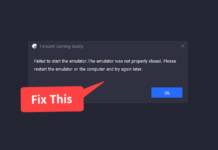 Of course we can right click command prompt and select run as administrator from the start menu, But instead of right clicking command prompt every time we can simply press Ctrl+ Shift + Enter to launch command prompt as administrator. If you are using windows 8 or higher version, you can simply right click windows button and select Command Prompt (Admin ) to run command prompt as administrator. Or if you want to access command prompt quickly everytime then we can create a shortcut and make the shortcut run as administrator. 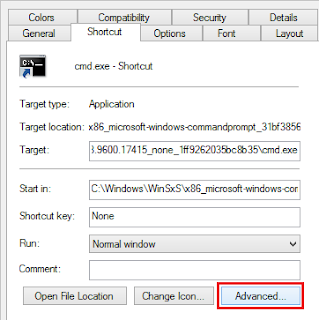 After finding cmd right click it and select Send to and further select Desktop (Create Shortcut). 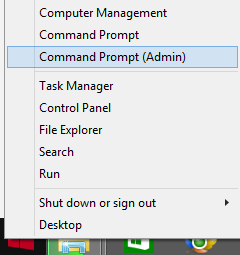 Now a shortcut of command prompt will be created on your desktop, but if you open it, it won’t run as administrator. So to run it as administrator every time we need to make the following changes. Right click the shortcut file and select Properties. Now under the shortcut tab select Advanced..
A new window will pop up and there you can select (tick) Run as administrator and click ok to save the desire changes. Now when ever you will launch the shortcut it will open with administrative rights. Click the command prompt icon and select Properties. 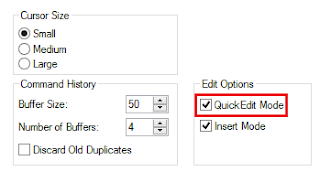 Now under the Edit Options simply select (tick) Quick edit mode. That’s it now you can quickly copy some text by simply dragging your mouse over the text and pressing enter. And to paste some text we can simply use right mouse click. We usually forget how a following command works or how to use it. This is not a big deal we can simply add /? to a command to know what this command does or how to use it. What copy command does ? How to use copy command and some other information related to it. 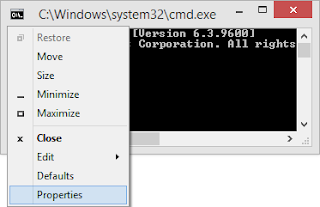 Click on command prompt icon and select Properties. 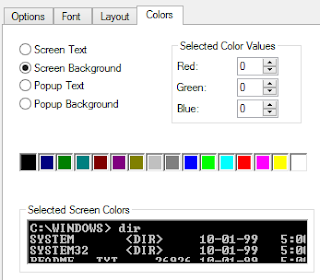 Now navigate to colors tab and just change the colors according to your needs. Use this tips daily. These command prompt tricks can save a lot of time. 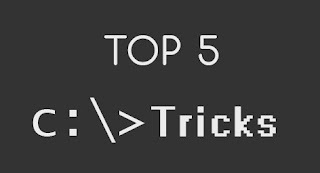 Also check our article on Top 5 Computer Tricks that every Geek Shoud Know.